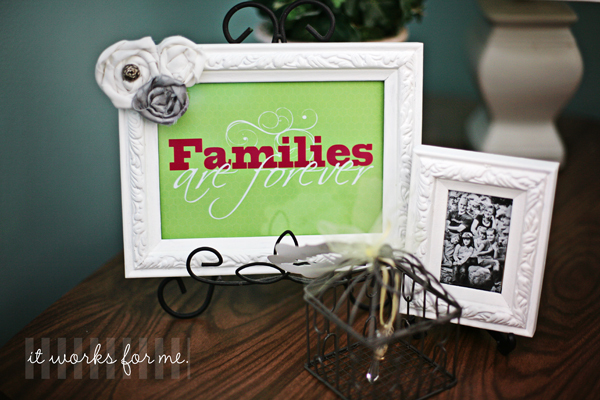 Families Are Forever Printable And Frame Makeover! – It Works For Bobbi! 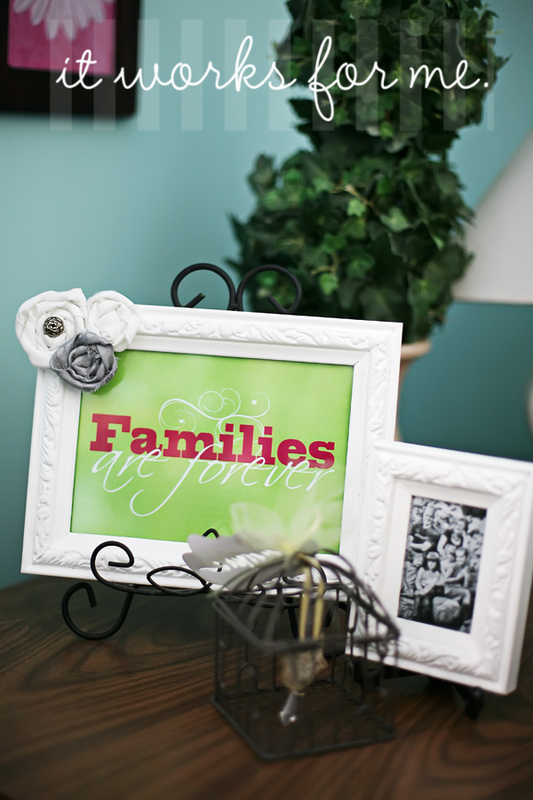 Families Are Forever Printable And Frame Makeover! Published on February 28, 2011 March 23, 2017 by Bobbi-Jo G.
It’s amazing what some craft paint and some fabric scraps can do to some ugly thrift store frames. All they needed now was a little family picture and a printable to go with. 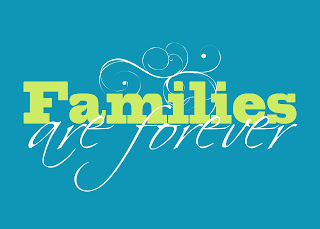 An amazing reader gave me the idea to create a “Families Are Forever” Printable, so I got right to work. I love the results! 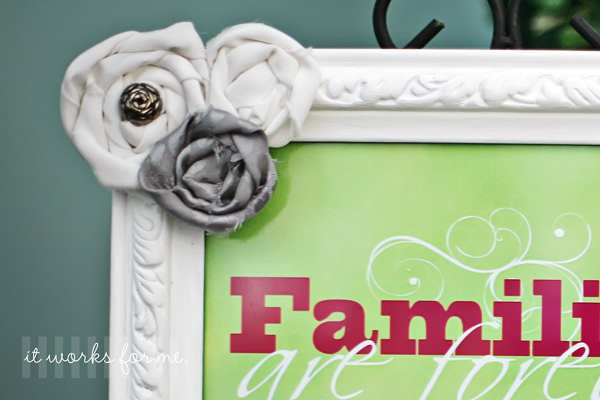 I love the little extra the fabric rosettes added to the frame. It was just the touch it needed! But now, for the printables! 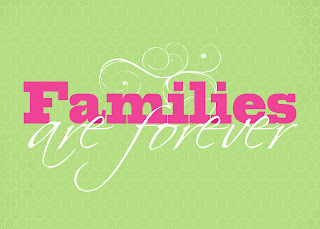 I created these 5X7 printables in 3 different color combinations, and I’m sharing them with you! Click on the images to download! I hope you like them! 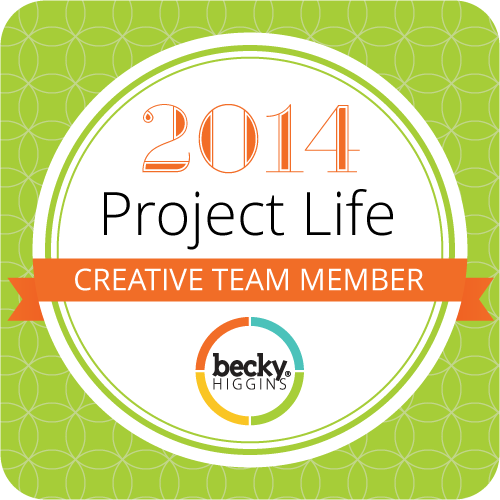 If you have ideas for printables, please feel free to email me! I’m always looking for something new to create! Thanks for stopping by! Previous Simple Things – Let Your Voice Be Heard! Next How Do I Love Thee? Notebook! These are beautiful. Thank you!!!!! Okay, this is fabulous! Thanks for the freebie! I can hardly wait until the weather gets a little warmer. I have missed going to the thrift shops and the antique stores. 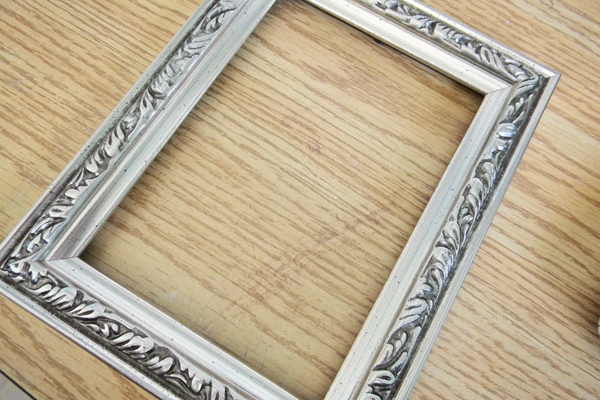 I love finding unique frames and painting them. I love what you have done with your new/old frames. Thank you very much for the beautiful printabes. They are lovely and I will be using everyone that you have made and shared with us. I love these. Thank you for sharing them! So pretty. I want to make a bunch of these and give them as gifts, thanks for the download. Your Valentine printable is just the ticket for my daughters wedding recpetion and Families Are Forever will be great in her new home! Thank you! You make THE BEST printables. I love these. 🙂 Thanks so much for sharing them. They definitely brighten up a space. I'm a new follower. So pretty. Could you please, please, please, put them in Spanish?? Thank you for sharing your talents!!! Thought you might want to see your print in action. I am LOVING all your printables! Thanks so much!